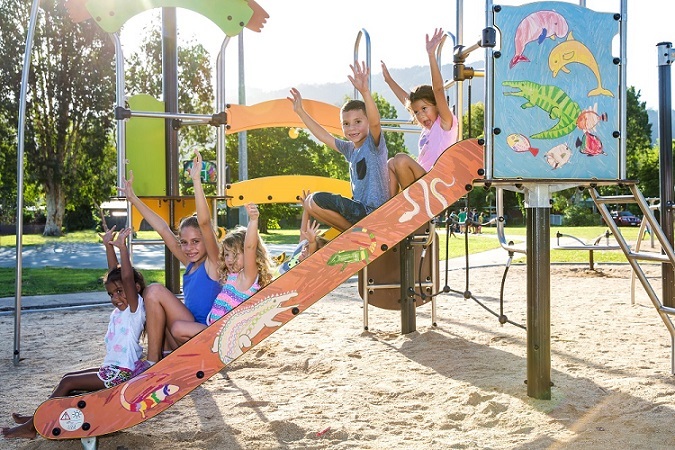 Proludic’s unique Grafic Games range has achieved Good Design ® Selection for 2015 in Australia’s oldest and most prestigious awards program for design and innovation. 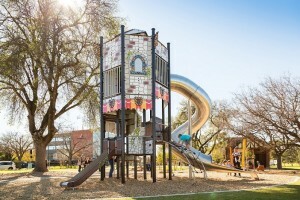 The Good Design Awards program is managed by Good Design Australia and showcases superior examples of good design across a broad range of industries and design disciplines.The program proudly promotes the very best in design, innovation and creativity at a national and international level. 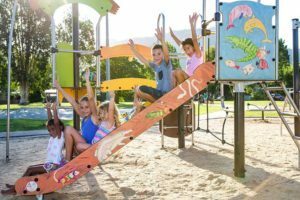 To qualify for the Good Design ® Selection entries must satisfy the stringent criteria for good design that includes factors such as safety, quality, functionality, sustainability and innovation. 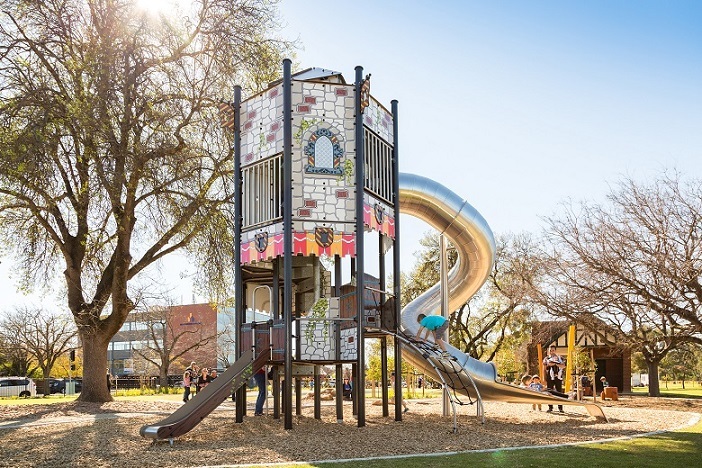 Proludic’s J4701-GM Medieval Castle Tower with Grafic Games, the centerpiece of the City of Adelaide’s Princess Elizabeth Play Space. 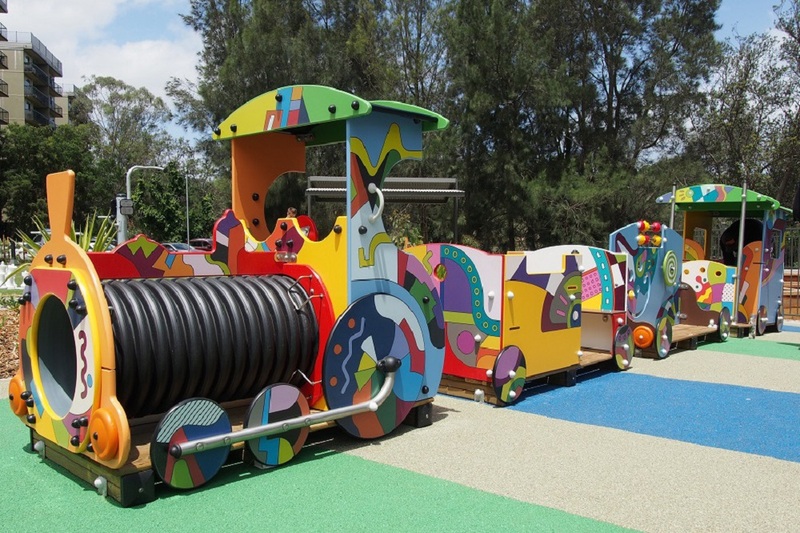 Proludic’s Little Train with Etnik graphics selected by Toowoomba Regional Council for a railway themed playground. 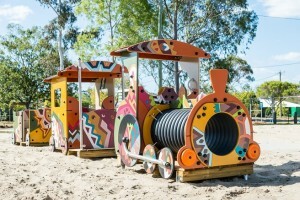 Proludic’s Diabolo Multi-Play Unit designed by local children, at Shang Street in Mooroobool, Qld. Proludic’s Grafic Little Train at Hughes Park in Lane Cove, NSW. Further Grafic Games projects are underway throughout Australia.